The USDA 2014-2018 Strategic Plan was recently released. This plan will serve as a road map for everything USDA does. It will provide direction to USDA employees as they craft policy in Washington, DC and implement USDA programs in the field. 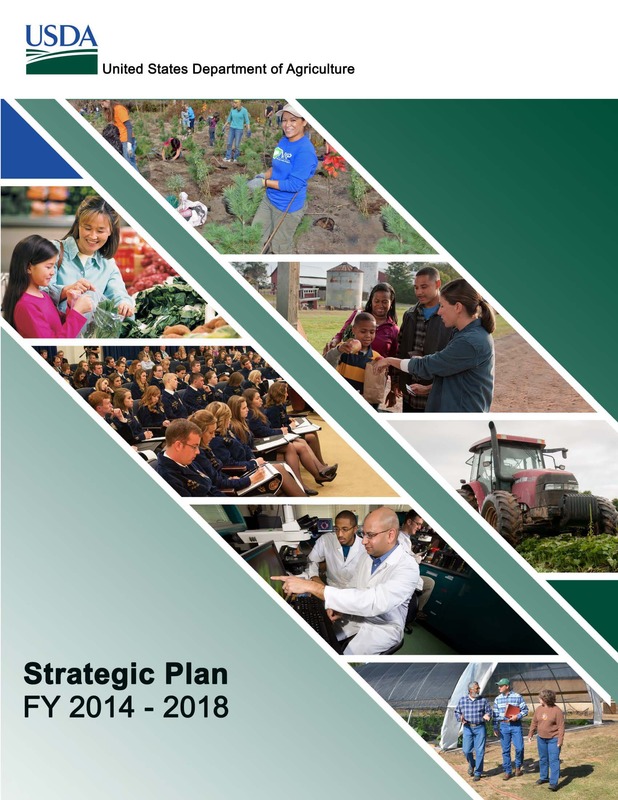 Perhaps most importantly, the strategic plan framework will increase accountability of mission delivery and ensure that USDA delivers the best outcomes to customers. In addition, USDA will use the strategic plan to help guide decisions regarding budget and resource management. Since 2012, the Western Association of Experiment Station Directors (WAAESD) and the Western Extension Directors Association (WEDA) have conducted several surveys of their memberships to determine the most pressing issues, needs, and opportunities. Below we provide each of these previous priorities surveys for reference. 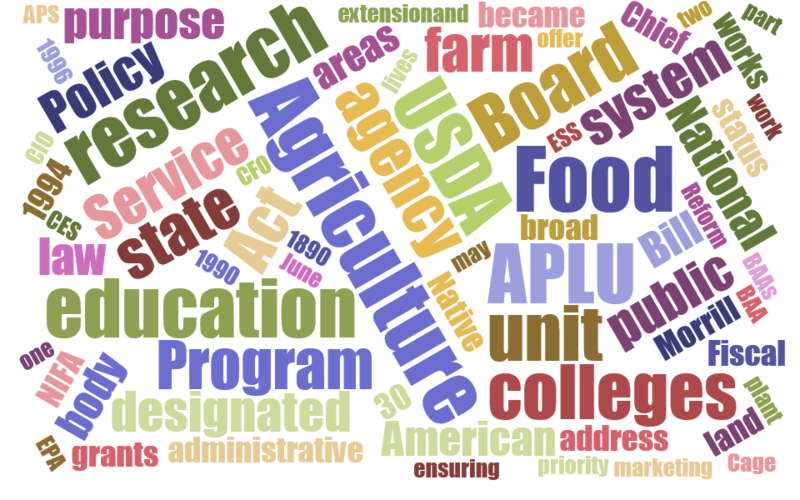 The National Institute of Food and Agriculture (NIFA) appreciates the many outstanding achievements of our partners in the land-grant universities and other cooperating institutions and organizations. 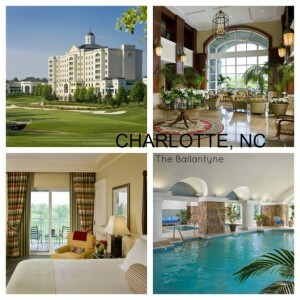 The Partnership Awards Program was established in 2007 to recognize some of the best of these achievements. Nominations can be submitted for individuals or teams of up to 20 members. Each institution may submit up to a total of two nominations for the entire institution, across all 5 categories, for activity in research, education, and extension. Specific instructions and other information regarding this awards program are here. Nominations must be submitted via the NIFA Partnership Awards Nomination Form. All signed nomination forms must be submitted by September 4, 2013, via email using scanned files that have been saved as .pdf or .jpg files to Chevon Gibson at Chevon.Gibson@ars.usda.gov according to instructions in the attached guidelines. Winning nominations will be recognized at the Association of Public and Land-grant Universities (APLU) annual meeting November 10-12, 2013, in Washington, DC. NIFA will pay travel expenses for one person from each winning nomination, whether it is an individual or team award. Nominations should include only individuals or teams who have performed truly distinguished service. We ask that Deans, Directors, and Administrators thoroughly review each submission for validity of accomplishments before signing his or her approval on the nomination form. We have many excellent examples of success in these categories across our partnership, and NIFA looks forward to recognizing great accomplishments.